—New Orleans Culinary & Hospitality Institute (NOCHI) will launch its inaugural culinary class this month at 725 Howard Avenue with classes officially beginning January 7th. —Starting January 10, a range of enthusiast classes will be offered to locals and visitors alike for those passionate about food, wine and cocktails, looking to improve their skill. —New Orleans Jazz & Heritage Festival is celebrating its 50th anniversary this year. To mark the historic milestone, the festival has added an extra day to the lineup making Thursday, April 25th this year’s opening day. —Louis Armstrong New Orleans International Airport is on track to open the new 972,000 square-foot facility in May 2019. —The $1 billion project includes in-line baggage screening, a consolidated security checkpoint to three concourses and 35 gates, a 2,200-car parking garage and more concessions options located down the center aisle. 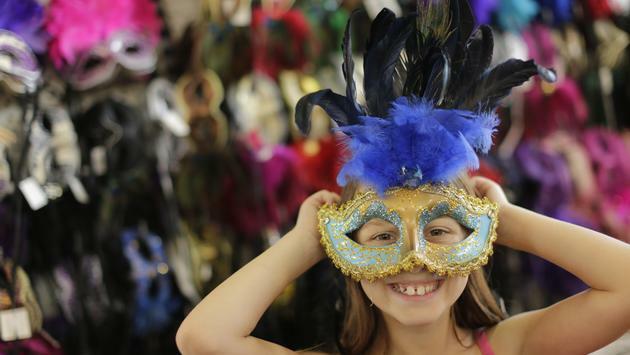 —Mardi Gras season kicks off in New Orleans on Sunday, January 6th, known as Twelfth Night. Parades will continue through Mardi Gras Day on Tuesday, March 5th. —The Louisiana Children’s Museum has announced that it will partner with local restaurant group Dickie Brennan & Co. for the onsite restaurant, Acorn. It is set to open with the Museum in late summer 2019. —Acorn will serve fresh, family-friendly cuisine, utilizing local ingredients, some sourced from as nearby as the edible garden at the museum. In addition to the menu, there will be fresh “grab and go” options. —The location is on the corner of Magazine and Girod streets in the newly built Kalorama building. —Chef Justin Devillier and his wife Mia Freiberger-Devillier will open their third restaurant, Justine, in the coming months. Justine, located in the French Quarter at 225 Chartres Street, will be a brasserie offering contemporary interpretations of classic French fare. —French Brasserie Couvant recently opened in the Eliza Jane Hotel, serving simple brasserie fare with relevant renditions of iconic French dishes. The restaurant also features a six-seat raw bar. —Saint Germain Wine Bar recently opened its doors in the Bywater at 3054 St. Claude Avenue. The 1700-square foot space features a cozy dining room with roughly a dozen seats and an open outdoor patio where guests can enjoy drinks and bistro style small plates. —Warbucks, the new concept from Executive Chef-Owner Todd Pulsinelli recently opened at 3218 Magazine Street, featuring a creative menu and playful atmosphere. Warbucks is a representation of everything Chef Pulsinelli enjoys—hip-hop music, skateboarding, comradery, family and great food and drink. —Spirit Airlines announced two new daily nonstop flights from Denver International Airport (DEN) to New Orleans and Austin-Bergstrom International Airport (ATX) to New Orleans, both beginning on February 14th, 2019. Special Guest: Mads Mikkelsen (Rogue One: A Star Wars Story), Cast from the Vampire Diaries, Cast from Outlander, Diana Gabaldon (Author of Outlander) and more celebrity guests. —One of the most attended corrections events in the industry. No other conference in the world offers the variety of opportunities for people in the corrections profession to learn, grow and network.